A single colour design, hand screen printed on a fitted 100% cotton white T-shirt. 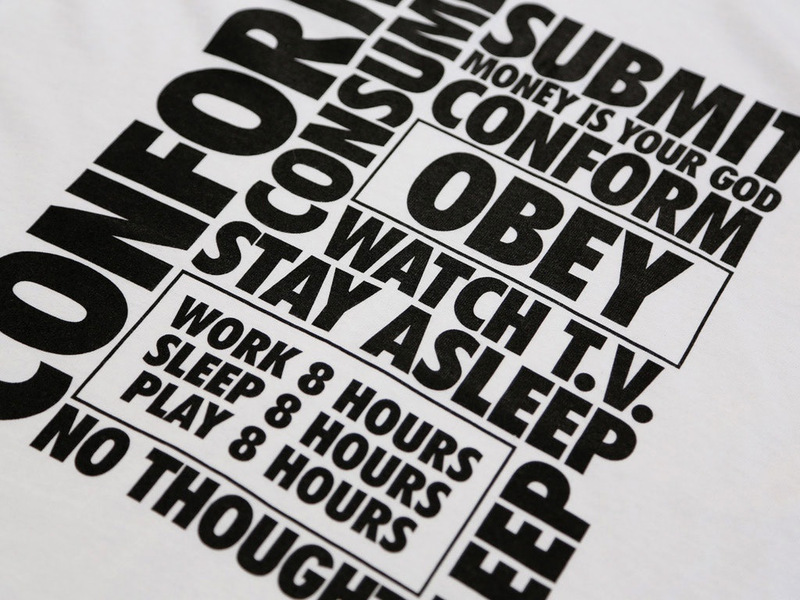 Inspired by the 1988 American science fiction horror film They Live, written and directed by John Carpenter. The film stars Roddy Piper, Keith David, and Meg Foster.